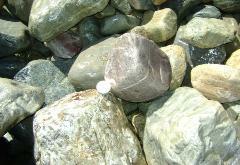 Welcome to our web site where RSSS Quarries Ltd sells natural decorative rock, rundle, stone, and RipRap. 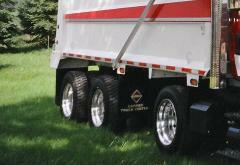 delivered in Bulk Dump Truck loads on-time, anytime. need" Finally a Snow Pusher that cleans down to pavement. 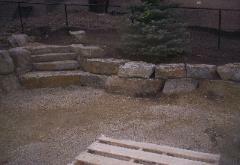 Kootenay Rustic retaining wall with steps or stairs. 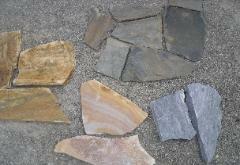 Charman, Grey Flagging, West Coast brown, Walnut. All popular colors in-stock now.